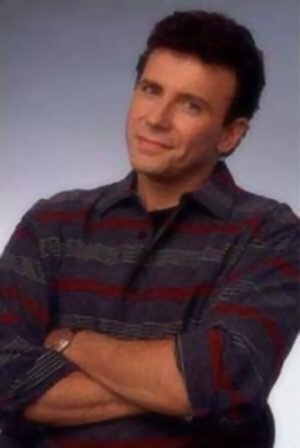 I remember hearing comedian Paul Reiser (of “Mad About You” fame) do a stand-up routine based on the phrase “I’m just saying.” Where he grew up, you could say anything you want to say, no matter how outrageous or hurtful, as long you added, "Hey, I'm just saying." What may be insulting by itself really isn't as long as you add “I’m just saying” to the beginning or end or both. Because... you’re just saying. So Reiser would then go around insulting people in his audience and add his disclaimer. “Ma’am, that is one ugly baby you have there. Hey, I’m just saying.” That's not hurtful; he's just saying. Reiser's routine was really very funny... and also very, very wrong. Things that are said often do hurt others. We may want to believe that “sticks and stones will break my bones but words will never harm me.” But we all know that this really isn't true—words hurt. James warns us about the unlimited power of our words to destroy, "The tongue also is a fire, a world of evil among the parts of the body. It corrupts the whole body, sets the whole course of one’s life on fire, and is itself set on fire by hell" (James 3:6). An entire section of this epistle (James 3:1-12) is devoted to warnings about our language. I'm just saying. Paul warns us not to use language that tears people down, "Do not let any unwholesome talk come out of your mouths, but only what is helpful for building others up according to their needs, that it may benefit those who listen" (Eph. 4:29). The next verse adds, "And do not grieve the Holy Spirit of God…" Not only can we hurt others when we misuse words, the Holy Spirit is disappointed with us as well! Paul warns against things like “slander, gossip, arrogance and disorder” (2 Cor 12:20), “obscenity, foolish talk or coarse joking” (Eph. 5:4) and “malice, slander, and filthy language” (Col 3:8). So let’s hear no more of that "I'm just saying" nonsense. The words we use are extremely important. In fact. Jesus says, "For by your words you will be acquitted, and by your words you will be condemned" (Matt 12:37). I’m just saying.